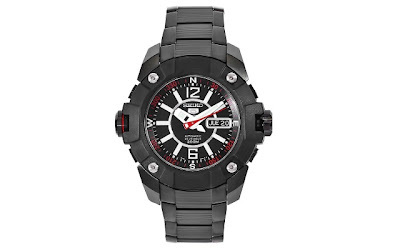 This Seiko Men's SKZ267 Seiko 5 Stainless Steel Black Dial Watch is currently selling for just $206.67 on Amazon.com! You will be saving 72% off the listed price of $750.00 with this jewelry deal. What I like about this men's watch is that it has the sleek all-black look, but has a stainless steel band rather than a rubber band.